Mechanical devices require maintenance, some more than others. Maintenance is intended to keep them working, because mechanical parts tend to wear out. Maintenance is required so that they can still work "as new", that is, do the same thing they were built to do. Software programs require maintenance, some more than others. Maintenance is intended to keep them useful, because software parts don't wear out, but they get obsolete. They solve yesterday's problems, not today's problems. Or perhaps they didn't even solve yesterday's problems right (bugs). Maintenance is required so that software can so something different from what it was built to do. Looking from a slightly different perspective, software is encoded knowledge, and the value of knowledge is constantly decaying (see the concept of half-life of knowledge). Maintenance is required to restore value. Energy (human work) must be supplied to keep encoded knowledge current, that is, valuable. Either way, software developers spend a large amount of their time changing stuff. Ideally, changes would be purely additional. We would write a new software entity (e.g. a class) inside a new artifact (a source file). We would transform that artifact into something executable (if needed; interpreted languages don't need this step). We would deploy just the new executable artifact. The system would automagically discover the new artifact and start using it. Although it's possible to create systems like that (I've done it many times through plug-in architectures), programs are not written this way from the ground up. Plug-ins, assuming they exist at all, usually appears at a relatively coarse granularity. Below that level, maintenance is rarely additional. Besides, additional maintenance is only possible when the change request is aligned with the underlying architecture. So, the truth is, most often we can't simply add new knowledge to the system. We also have to change and remove existing parts. A single change request then results in a wave of changes, propagating through the system. Depending on some factors (that I'll discuss later on) the wave could be dampened pretty soon, or even amplified. In that case, we'll have to change more and more parts as the wave propagates through the system. If we change a modularized decisions, the change wave is dampened at module boundary. Consider a system with two hardware nodes. The nodes are based on completely different hardware architectures: for instance, node 1 is a regular PC, node 2 is a DSP+ASIC embedded device. They are connected through standard transport protocols. Above transport, they don't share a single line of code, because they don't calculate the same function. Yet, if you change the code deployed in node 1, you have to change some (different) code in node 2 as well, or the system won't work. Yikes! Aren't those two systems loosely coupled according to the traditional coupling theory? Sure. But still, changes need to happen on both sides. The example above may seem paradoxical, or academic, but is not. Most likely, you own one of those devices. It's a decoder, like those for DVB-T, sat TV, or inside DivX players. The decoder is not computing the same function as the encoder (in a sense, it's computing the inverse function). The decoder may not share any code at all with the encoder. Still, they must be constantly aligned, or you won't see squat. This is the real nature of change in software: you change something, and a number of things must be changed at the same time to preserve correctness. In a sense, change is affecting very distant, even physically disconnected components, and must be simultaneous: change X, and Y, Z, K must all change, at once. At this point, we may think that all the physical analogies are breaking down, because this is not how the physical world behaves. Except it does :-). You just have to look at the right scale, and move from the familiar Newtonian physics to the slightly less comfortable (for me, at least) quantum physics. Note: if you really, really, really hate physics, you can skip this part. Still, if you never came across the concept of Quantum Entanglement, you may find it interesting. Well, when I first heard of it, I thought it was amazing (though I didn't see the connection with software back then). You probably know about the Heisenberg Uncertainty Principle. Briefly, it says that when you go down to particles like photons, you can't measure (e.g.) both position and wavelength at arbitrarily high precision. It's not a problem of measurement techniques. It's the nature of things. Turns out, however, that we can create entangled particles. For instance, we can create two particles A and B that share the same exact wavelenght. Therefore, we can try to circumvent the uncertainty principle by measuring particle A wavelength, and particle B position. Now, and this is absolutely mind-blowing :-), it does not work. As soon as you try to measure particle B position, particle A reacts, by collapsing its wave function, immediately, even at an arbitrary distance. You cannot observe A without changing B. Quoting wikipedia: Quantum entanglement [..] is a property of certain states of a quantum system containing two or more distinct objects, in which the information describing the objects is inextricably linked such that performing a measurement on one immediately alters properties of the other, even when separated at arbitrary distances. Replace measurement with change, and that's exactly like software :-). The parallel between entangled particles and entangled information is relatively simple. What is even more interesting, it works both in the artifact world and in the run-time world, at every level in the corresponding hierarchy (the run-time/artifact distinction is becoming more and more central, and was sorely missing in most previous works on related concepts). On the other hand, the concept of entanglement has far-reaching consequences, and is also a trampoline to new concepts. This post, therefore, is more like a broad introduction than an in-depth scrutiny. Two clusters of information are entangled when performing a change on one immediately requires a change on the other. A simple example in the artifact space is renaming a function. All (by-name) callers must be changed, immediately. Callers are entangled with the callee. A simple example in the run-time space is caching. Caching requires cache coherence mechanisms, exactly because of entanglement. Note 1: I said "by name", because callers by reference are not affected. This is strongly related with the idea of dampening, and we'll explore it in a future post. Note 2: for a while, I've been leaning on using "tangling" instead of "entanglement", as it is a more familiar word. So, in some previous posts, you'll find mentions to "tangling". In the end, I decided to go with "entanglement" because "tangling" has already being used (with different meaning) in AOP literature, and also because entanglement, although perhaps less familiar, is simply more precise. Coupling is a time-honored concept, born in the 70s and survived to this day. Originally, coupling was mostly concerned with data. Content coupling took place when a module was tweaking another module's internal data; common coupling was about sharing a global variable; etc. Some forms of coupling were considered stronger than others. Most of those concepts can be applied to OO software as well, although most metrics for OO coupling takes a more simplified approach and mostly consider dependencies as coupling. Still, some forms of dependency are considered stronger than others. Inheritance is considered stronger than composition; dependency on a concrete class is considered stronger than dependency on an interface; etc. Therefore, the mere presence of an interface between two classes is assumed to reduce coupling. If class A doesn't talk to class B, and doesn't even know about class B existence, they are considered uncoupled. Of course, lack of coupling in the traditional sense does not imply lack of entanglement. This is why so many attempts to decouple systems through layers are so ineffective. As I said many times, all those layers in business systems can't usually dampen the wave of changes coming from the (seemingly) innocent need to add a field to a database table. In every layer, we usually have some information node that is tangled with that table. Data access; business logic; user interface; they all need to change, instantly, so that this new field will be put to use. That's entanglement, and it's not going away by layering. So, isn't entanglement just coupling? No, not really. Many systems that would be defined as "loosely coupled" are indeed "heavily entangled" (the example above with the encoder/decoder is the poster child of a loosely coupled / heavily entangled system). To give honor to whom honor is due, the closest thing I've encountered in my research is the concept of connascence, introduced by Meilir Page-Jones in a little known book from mid-90s ("What Every Programmer Should Know About Object-Oriented Design"). Curiously enough, I came to know connascence after I conceived entanglement, while looking for previous literature on the subject. Stille, there are some notable differences between connascence and entanglement, that I'll explore in the forthcoming posts (for instance, Page-Jones didn't consider the RT/artifact separation). I'll explore the implications of entanglement in future posts, where I'll also try to delve deeper into the nature of change, as we can't fully understand entanglement until we fully understand change. Right now, I'd like to highlight something obvious :-), that is, having distant yet entangled information is dangerous, and having too much tangled information is either maintenance hell or performance hell (artifact vs run-time). Indeed, it's easy to classify entanglement as an attractive force. This is an oversimplification, however, so I'll leave the real meat for my next posts. There is a strong urge inside the human being to classify things as "good" and "bad". Within each category, we further classify things by degree of goodness or badness. Unsurprisingly, we bring this habit into computer science. Coupling has long been sub-classified by "strength", with content coupling being stronger than stamp coupling, in turn stronger than data coupling. Even connascence has been classified by strength, with e.g. connascence of position being stronger than connascence of name. The general consensus is that we should aim for the weakest possible form of coupling / connascence. I'm going to say something huge now, so be prepared :-). This is all wrong. 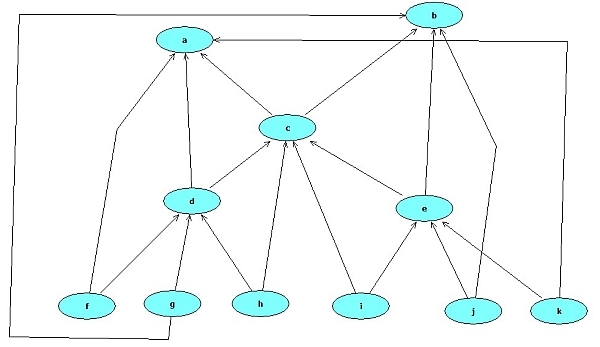 When two information nodes are entangled, changes will propagate, period. The safest entanglement is the one with the minimum likelihood of occurrence. Of course, that must be weighted with the number of entangled nodes. It's very similar to risk exposure (believe or not, I couldn't find a decent link explaining the concept to the uninitiated :-). There is more. We can dampen the effects of some forms of entanglement. That requires human work, that is, energy. It's usually upfront work (sorry guys :-), although that's not always the case. Therefore, even if I came up with some classification of good/bad entanglement, it would be rather pointless, because dampening is totally context-dependent. I'll explore dampening in future posts, of course. But just to avoid excessive vagueness, think about polymorphism: it's about dampening the effect of a change (which change? Which other similar change is not dampened at all by polymorphism?). Think about the concept of reference. It's about dampening the effect of a change (in the run-time space). Etc. Your system is not really aligned with the underlying forcefield unless you have strategies in place to dampen the effect of entanglement with high risk exposure. Conversely, a deep understanding of entanglement may highlight different solutions, where entangled information is kept together, as to minimize the cost of change. Examples will follow. Before we can talk about dampening, we really need to understand the nature of change better. As we do that, we'll learn more about entanglement as well, and how many programming and design concepts have been devised to deal with entanglement, while some concepts are still missing (but theoretically possible). It's a rather long trip, but the sky is clear :-). So, here is the story. I keep a lot of notes. Some are text files with relevant links and organized ideas. Most are rather embarrassing scribbles on just about any piece of paper that is lying around when I need it. From time to time, I move some notes from paper to files, discard concepts that didn't prove themselves, and rearrange paragraphs to fake some kind of logical, sequential reasoning over a process that was, in fact, rather chaotic. Not surprisingly (since software is just another way to encode knowledge), David Parnas suggested long ago that we could do the same while documenting software design (see "A rational design process: How and why to fake it"). Well, it's not always easy. Sometimes, I try to approach the storytelling from an angle, see that it doesn't work out so well, and look for another. Sometimes I succeed, sometimes I don't (although, of course, the reader is the ultimate judge). This time, I have to confess, I feel like I couldn't find the right angle, the right way to start, to unfold a concept in a way that makes it look simple and natural. So I'll trust you to be smart enough to make sense of what follows :-). It's a very long post, and you may want to digest it in more than one session. I guess you all had to push some furniture around at one time or another. You have probably felt a stronger resistance in the beginning, followed by a milder form of resistance as soon as you got some movement. The mild resistance is due to kinetic friction, while the initial, stronger resistance is usually due to static friction, that you have to overcome before moving the object (if you're not familiar with kinetic and static friction, wikipediawill tell you more than you want to know :-). As you move your stuff around, friction makes you waste some energy, in a way that is basically proportional to the normal force, the distance, and the coefficient of kinetic friction (see the page above for the actual equation). I'll get back to this later, but if you move a constant mass on a flat surface, the energy you waste is proportional to the mass you move, the distance you go, and the magic coefficient of friction. The beauty of all this is that it's simple and rather unambiguous. Friction is always present in mechanical engineering, but it's a well understood concept (as far as engineering is concerned; it's still blurry at the quantum level, at least for the uninitiated like myself), and there is usually no wishy-washy talking about friction. It's not a broad concept, that is, you won't be able to design the next-generation jet engine if all you have in your conceptual toolbox is friction, yet you won't be able to design an engine at all without an appreciation of friction. I'm first and foremost a software design practitioner: I design software, almost every day. Sometimes by myself, most often with other people; therefore, I do a lot of "design talk". In many cases, at one point or another, someone is going to bring in "performance" or "efficiency" to support (or reject) a design decision. We use those words a lot, with different meaning depending on who's saying it and why he's saying it. It seems like I'm never tired of linking wikipedia, so here is a page on computer performance. Just look at the initial list of different, context-dependent meanings. It's not surprising, then, to find out some people have very peculiar views of performance. "I use arrays because they're more efficient". Sure, except that then you do a linear search because you need multiple indexes; say "efficient" again :-)? One might expect Computer Science (with capital letters :-) to come to the rescue and define terms more precisely, and hopefully with some relevance for practice. However, computer science is more concerned with computational complexity theory than with the nitty-gritty details of being "fast". Now, don't get me wrong. You won't get too far as a programmer (and definitely not as a software designer) if you don't get the concept of complexity classes, if you can't see that an algorithm is O( n^2 ) and another is O( n log n ), or if you don't even know what the Big Oh notation is all about. You have to know this stuff, period. In a sense, complexity theory is part of the math of software, and there is little point in investigating a physics of software if you don't get the math first. But math alone won't cut it. However, once we get past the complexity class we get very little assistance from computer science (and I'm purposely ignoring the fact that just because an algorithm is in the O( n log n ) class in the average case doesn't mean I can't beat it with an O( n^2 ) algorithm in my practical cases). On the "software engineering" side, the usual advice is to build the program and then use a profiler. Yeah, well, sure, beats banging your head against the wall :-), but it's not exactly like knowing what you're doing all along. Still, we make a lot of low-level design decisions while coding, and many of them will ultimately impact "performance". Lacking the basic terminology to think (and talk) about this kind of stuff is rather depressing, so why don't we try to move just a tiny step forward? So, here I have this piece of software (executable knowledge). For most practical applications, what I need is to get some data (interactively, from a DB, through some kind of device, whatever), transform it in a meaningful way (which could be a complex process encoded in thousands of lines), and spit out some results (which is still data, anyway). The transformation is the Function. On the artifact side, our software may be using global variables all around, or be based on a nice polymorphic structure, yet the Function doesn't care. The structure we provide on the artifact side is the domain of Form (by now, you're probably familiar with all this stuff). Now, transformation is a process, and no real-world process is 100% efficient; it's always going to waste something. Perhaps we should look better at that "waste" part. Something I learnt a long time ago, while pondering on principles and patterns, is that overly general concepts (like "performance") must give way to more specialized notions. Consider this short portion of C code. I'm using C because it's a low-level language, where the implications of any given choice are relatively easy to understand. The code is pretty obvious. In a common, stack-based CPU architecture, max3 will copy x and y on the stack and call max; then it will copy d and z and call max again. The return value might be stored in a CPU register or in RAM, depending on the compiler. Copying those values is a waste of energy, of course. I could manually inline max inside max3 and get rid of that waste. I would sacrifice reusability and perhaps clarity for "higher performance" or "higher efficiency" or "reduced waste". Alternatively, the compiler could inline the function on my behalf (see Chapter 6 for the role of languages on balancing the two worlds). What if I'm working on some large data structure? The Fortran guy down the corner will suggest that by keeping your structures in the common area / global memory, you won't even have to pass parameters around: every function knows exactly where to get input and where to store output! Again, we'll sacrifice reusability, and perhaps duplicate large portions of code, for sake of efficiency. As you go through most literature on High Performance Computing (see, for instance, The Ideal HPC Programming Language, recently reprinted in Communications of ACM), you'll see that the HPC community is constantly facing the problem of wasted cycles, and is wasting a lot of LOC to prevent that. yeah, it's ugly as hell, but it's also wasteful (which is funny, for reasons that are too long to explain here). If you read it carefully, you'll find a way to optimize the "while" body quite a bit, and while you're at it, you can easily make it more readable. Also, the two memcmp in the beginning are wasting cycles (going through the first 5 characters twice), but just like the coefficient of friction must be measured in practice, at this level any alternative should really be measured on a real-world CPU. Note: as we optimize code, we have to assume that is correct. We don't change Form unless we know that the Function is right. Before posting this, I checked for any update to the codebase (I got that code a few years ago, and it never looked right to me). The code is still the same, but now there is also a comment explaining what the function is intended to do. Unfortunately, it's not what it's doing, which is even more ironic, for the same unspoken reasons above. Anyway, we could easily fix the bug and still optimize the code. Just like in the physical world we move object around, in the run-time world of software we move knowledge around. More exactly, we move data around (we call it data flow) and we move the execution point around (we call it control flow). We move that stuff around to calculate some Function. In the process of calculating the Function, we usually waste some cycles. We waste cycles because we have to copy data on the stack, or from one data structure to another. We waste cycles because we do unnecessary comparison, computations, jumps. We waste cycles because we process the same data more than once. Most often, we waste those cycles because we get something in exchange in the Form (artifact) domain. Sometimes, we waste cycles just because of bad coding. The energy waste is not a constant: copying an integer is different from copying an array of integers (that's weight, of course). Also, if your array has been swapped out to the paging file, the copy is going to cost you more: that's the contribution of distance, and I'll get back to this later. Right now, remember that wasted energy is a consequence of friction, but is not friction. We have already seen a few cases of software friction: when you copy data, you waste cycles. Max3 didn't strictly need to copy data: the Function didn't care about reusing max, only Form did. Before we try do define friction more precisely, it's interesting to see how deep the analogy with real-world friction really is. Indeed, we even have static software friction, and kinetic software friction! Consider a Java (or .NET) virtual machine. When you hit a function for the first time, the code is compiled just in time. This has nothing to do with Function. It is a byproduct of a technological choice. It will cost you some cycles: that's friction. Also, it happens only once, to "put things in motion": that's static friction. In general, static friction will increase latency, while kinetic friction will reduce throughput. Good: we just sorted out the two main components of "performance". Consider a web service. Before you can call the server, you go through a relatively lengthy process, from high-level stuff (marshaling your data) to low level stuff (establishing a network connection). This is all friction: the Function is happening on the other side, inside the service code. Here we see both static and kinetic friction at play: establishing a connection adds latency, exchanging data over the network reduces throughput. Consider stored procedures. The ideal stored procedure takes little data in input, does significant CRUD inside, and returns little. This way, we have minimal waste due to kinetic friction, as we exchange little data with the database. Of course, this is not the only way to minimize energy waste: another approach would be to reduce distance, by bringing the database itself in-process. Interestingly, most real-time databases use the second approach. A copy of data from one place to another (e.g. parameter passing, temporary variables, etc), as this adds no meaning to data, and therefore is useless as far as Function is concerned. Syntactical transformation of data (e.g. marshaling) which adds no semantics (as above: this processing is not part of the Function). This includes any form of data transformation needed to talk over a non-native protocol. Unnecessary statements (like those that could be removed in the C function above). Bookkeeping (allocation, deallocation, reference counting, heap defragmentation, garbage collection, paging, etc). All this adds no semantics, and it's irrelevant for the Function: indeed, a well-written garbage collected program should behave properly under the so-called null garbage collector. Unnecessary indirection. This is a long story and I'll leave for another time, as I've yet to talk about indirection in the physics of software. In general, everything that is not strictly necessary to calculate the Function, but has been added because of Form, or because of the programmer's inability to streamline the code to the mere Function, is a source of friction and will waste run-time energy. Normal Force * Coefficient of Friction * Distance. That would hold pretty well in the software world as well, both at the qualitative (easier) and probably quantitative (not there yet) level. At the qualitative level, it tells us what we can control and perhaps leverage. I'll explore this in the next paragraph. At the quantitative level, it could help to evaluate low-level choices. First, however, we have to define Normal Force, Coefficient of Friction, and Distance. I've defined distance in the run-time world in Chapter 9. Unfortunately, it's an ordinal scale, so we can't do math with distance. This sort of rules out any chance to have a quantitative definition of friction, but we can also look at it from the other side: a better understanding of friction energy (like: wasted cycles) could shed light on the right measurement scale for distance! Assuming a flat world (I have no reason to think otherwise) the Normal Force is just weight. Weight could be easily defined as the number of bytes involved. For instance, the cost of a copy is linear with the number of bytes you copy. The coefficient of friction is a dimensionless parameter. Interestingly, if we decide to measure energy in cycles (which makes some sense, although we usually think of cycles as time, not energy) that would imply that unit of measurement for Distance is cycles/byte. I'll have to think more about this. Although the coefficient of friction, in the real world, cannot be predicted but only measured, we have some intuitive grasp of it being related to the materials. As the aforementioned wikipedia page explains, it's a relatively complex "system property", depending on many factors. The same applies in the software world. The cost to move a bunch of bytes from one position to another dependes on a bunch of factors. If we want to raise the abstraction level and think in terms of objects, and not bytes, things become more complex. The exact copy semantics (reference, shallow, deep) kicks in. That's fine: a software material with shallow copy semantics would have a different coefficient of friction than one with reference copy semantics. Overall, I think we have little control over the coefficient of friction (I might be wrong), so for any practical purpose, distance and weight are the most interesting parameters. A good theory, and a good concept, must have a good explanatory power, that is, we should be able to use them to explain known phenomena, explain why something works, rationalize widespread practice or beliefs, etc. As I've already discussed, the evolution of programming languages can be largely seen as an attempt to balance the world of artifact / form with the run-time / function world. In this sense, we can look for instance at the perfect forwarding problem, solved by right value references in the next C++ standard, as a further attempt to remove some energy waste, by avoiding unnecessary copy of data. C++ provides many ways to control friction energy, mostly in the area of generic programming and also template metaprogramming. The Curiously Recurring Template Pattern, for instance, provides a form of static polymorphism exactly to avoid some friction due to unnecessary indirection (virtual dispatch). More generally, the simple equation for energy waste provides a clue on what we can actually control: weight, distance, coefficient of friction. This is it. As we shape software, this is what we can actually change if we want to reduce friction energy. Consider HTTP compression: distance couldn't be changed, so we had to change weight. Also, understanding the difference between static and kinetic friction explains a lot of existing practices. Think of the Nagle's algorithm. It works by increasing static friction (therefore latency) in exchange for lower kinetic friction (therefore throughput). Once you get your concepts right, so many things unfold so easily :-). Finally, the analogy holds to the extremes: just like excessive friction in mechanical systems can lead to jam, excessive friction due to paging can jam a software system. This is commonly known as Trashing. I think a caveat is in order: friction in the physical world is not necessarily evil. Wasn't it for friction, we couldn't even walk. Mechanical devices have to deal with friction all the time, but they also exploit friction all the time. It's harder to exploit friction in software (although the Nagle's algorithm does). Most often, we must see friction as a trade/off with other properties, mostly in the artifact side. Still, an understanding of the different types of friction, and of the constituents of friction energy, can help evaluate alternatives and even generate new, better ideas in a more systematic and (dare I say it :-) scientific way. I choose friction as a physical analogy because it's a simple, familiar concept. Intuition and everyday experience can easily compensate any lack of engineering knowledge. Still, I've been tempted to use different analogies, like hydraulic or electrical analogies. Indeed, there are several analogies between electrical, mechanical, hydraulic and even acoustic and optical systems (see here for a start), so it's always possible to choose a different reference system. Anyway, my alternative would have been to model everything after resistance and current. Current would be the equivalent of throughput, or "performance", and resistance would cause thermal dissipation. In the end, I didn't go this way for a number of reasons; for instance, one-shot stuff like JIT would require something like a thermistor (think of a PTC in CRT degaussing), but I would lose a few readers that way :-). Still, if you followed so far, there is an interesting result I'd like to share. Consider a trivial circuit where we apply 1V to a 1 ohm resistor, resulting in 1A current. Now, I'll replace the resistor with a series of 2, with resistance (1-P) and P ohms. Nothing changes, same current. Resistors represent processes. Now say that we have this concept of parallel execution, so the process carried out by P can be parallelized. By way of the analogy, to increase throughput (current) I can simply add up to N resistors in parallel. Now the circulating current is obviously 1 / (1-P + P/N) A. Guess what, I just rediscovered Amdahl's Law using Ohm's Law. That's cute :-). Ok guys, next time I'll have a much shorter post on the artifact-side notion of friction. If we survive that, we'll be ready for tangling. You're writing a function in your preferred language. At some point, you look at your code and you see that a portion just does not belong there. You move it outside, creating another function. Asked why, you may answer that by doing so you made it reusable; that you want to respect the Single Responsibility Principle; that you want to increase cohesion; that code just looks "cleaner" and "easier to read" that way; and so on. I guess it sounds rather familiar. By moving the code outside the function, you also increased its distance with the code that is left inside. This is probably not so familiar: distance is not a textbook property of software. However, the notion of distance is extremely important. Fortunately, distance is a very simple concept. It has an immediate intuitive meaning, and although it's still rather informal, we can already use it to articulate some non-trivial reasoning. I'm trying to keep this post reasonably short, so I'll cover only the artifact side of the story here. I'll talk about the run-time world next time. I used two blank lines to split the function in three smaller portions: initialization - computation - return. I didn't use comments - the code is quite readable as it is, and you know the adage: if you see a comment, make a function. It would be unnatural (and with dubious benefits) to split that function into sub-functions. Still, I wanted to highlight the three tiny yet distinct procedural portions (centers) within that function, so I used empty lines. I guess most of you have done the same at one point or another, perhaps on a larger scale. Said otherwise, I wanted to show that some statements were conceptually closer than others. They don't have to be procedural statements. I have seen people "grouping" variable declarations in the same way, to show that some variables sort of "lump together" without creating a structure or a class. I did that by increasing their physical distance in the artifact space. for the full scale, including the data counterpart, see my Summary at the Physics of Software website. Note that Distance is a relative property. You cannot take a particular piece of information and identify its distance (as you could do, for instance, with mass). You need two. Also, the ordinal scale is rather limiting: you can do no math with it. It would be nice to turn it into a meaningful interval or ratio scale, but I'm not there yet. As in most theories, individual concepts may seem rather moot, but once you have enough concepts you can solve interesting problems or gain better understanding of complex phenomena. Right now, I haven't introduced the concept of tangling yet, so Distance may seem rather moot on itself. Still, we can temporarily use a vague notion of coupling to explore the value of distance. It will get better in the [near] future, trust me :-). Consider a few consecutive statements inside a function. It's ok if they share intimate knowledge. The three segments in sum are rather strongly coupled, to the point that it's ineffective to split them in subfunctions, but that doesn't bother me much. It's fine to be tightly coupled at small distance. As we'll see, it's more than fine: it's expected. Functions within a class are still close together, but farther apart. Again, it's ok if they share some knowledge. Ideally, that knowledge is embodied in the class invariant, but private functions are commonly tied with calling functions in a rather strong way. They often assume to be called in specific states (that could be captured in elaborated preconditions), and the caller is responsible to guarantee such preconditions. Sequence of calls are also expected to happen in specific orders, so that preconditions are met. Again, that doesn't bother me much. That's why the class exists in the first place: to provide a place where I can group together "closely related" functions and data. Distinct classes are even more distant. Ideally, they won't share much. In practice, classes inside the same component often end up having some acquaintance with each other. For instance, widgets inside a widget library may work well together, but may not work at all with widgets inside a different library. Still, they're distant enough to be used individually. We expect components / services to be lightly coupled. They can share some high-level contract, but that should be all. Applications shouldn't be coupled at all – any coupling should appear at a lower level (components). 1) if coupling with the surroundings is not strong enough, you should move that portion elsewhere. 2) the code should go where the coupling is stronger (that is, if code is attracted elsewhere, consider moving it elsewhere :-)). That's basically why feature envy is considered a bad smell – the code is in the wrong place. Cohesion has always been a more elusive concept than coupling. Looking at literature, you'll find dozens of different definitions and metrics for cohesion (early works like Myers' Composite/Structured Design used to call it "strength"). I've struggled with the concept for a while, because it didn't fit too well with other parts of my theory, but then I realized that cohesion is not a property per se. Cohesion is a byproduct of attraction and distance: an artifact is cohesive if its constituents are at the right distance, considering the forces of attraction and rejection acting upon that artifact. If the resulting attraction is too strong or too weak, parts of that artifact want to move either down or up in the distance hierarchy, or into another site at the same level. Attraction is too weak: the forces keeping that code together are not strong enough to warrant the short distance at which we placed the code. For instance, a long function with well-identified segments sharing little data. We can take that sequence of statements and move it up in the hierarchy - forming a new function. Attraction is too strong: for instance, we put code in different classes, but those classes are intimately connected. The easier thing is to demote one class to a set of functions (down in the hierarchy) and merge those functions with the other class. But perhaps the entire shape is wrong, at odd with the forcefield. Perhaps new abstractions (centers) must be found, and functions, or even statements, moved into new places. This is closing the circle, so to speak. Good software is in a state of equilibrium: attraction and rejection are balanced with proper distance between elements. Note: I'm talking about attraction and rejection, but I have yet to present most attractive / repulsive forces. Still, somehow I hope most of you can grasp the concepts anyway. I've quoted Christopher Alexander several time in an early discussion on the concept of form. Now, you may know that Alexander's most recent theory is explained in 4 tomes (which I haven't deeply read yet) collectively known as "The Nature of Order". A few people have tried to relate some of his concepts with the software world, but so far the results have been rather unimpressive (I'm probably biased in my judgment :-). On my side, I see a very strong connection between the concept of equilibrium as an interplay between distance and the artifact hierarchy and the Alexandrian concept of levels of scale: “A balanced range of sizes is pleasing and beautiful”. Don't use long function: use multiple functions in a class instead. Don't use long classes: use multiple classes in a component instead. This is routinely ignored (which, I think, contributes to the freescale nature of most source code) but it's also the very first reason why those concepts have been introduced in the first place! Actually, we are probably still missing a few levels in the hierarchy, as required for instance to describe systems of systems. Remember gravity? Gravity (in the artifact world) provides a path of least resistance for the programmer: just add stuff where there is other vaguely related related stuff. Gravity works to minimize distance, but in a kind of piecemeal, local minimum way. It's easy to get trapped into local minimum. The minimum is local when we add code that is not tightly connected with the surroundings, so that other forces at play (not yet discussed) will reject it. When you point out incoherent, long functions, quite a few programmers bring in "efficiency" as an excuse (the other most common excuse being that it's easier to follow your code when you can just read it sequentially, which is another way to say "I don't understand abstraction" :-). Now, efficiency is a run-time concept, and I haven't explained the corresponding concept in my theory yet. Still, using again the informal notion of efficiency we all have, we can already see that efficiency [in the run-time world] tends to decrease as distance [in the artifact world] increases. For instance, moving lines into another function requires passing parameters around. This is a first-cut, rough explanation of the well-known trade-off between run-time efficiency and artifact quality (maintainability, readability, reusability).